The Codex Secretary Mr Tom Heilandt, Mr Fan Yongxiang, Chairperson of the Codex Committee on Food Additives (CCFA) and the Former Codex Chairperson Mrs Awilo Ochieng Pernet attended the 3rd Shenzhen Food Safety Risk Communication Forum, which took place in Shenzhen (China) on 5th and 6th November 2018. This year the Forum was dedicated to food safety early warning and food quality improvement. It brought together renowned national and international experts as well as 400 participants including government officials, industry representatives, consumer organisations and academia. In addition, there was a live broadcast of the Forum proceedings and the audience could interact in real time with the Forum participants also during panel discussions. The Shenzhen Food and Drug Administration (SZFDA) hosted the Forum and it was organised by the Shenzhen Institute of Standards and Technology (SIST). The welcome address was delivered by Mr Huang Shaolong, Deputy Director, on behalf of Guangdong Province and Mr Huang Min, Deputy Mayor, on behalf the Shenzhen Municipal Government. Mr Tom Heilandt, Codex Secretary highlighted the importance of Codex as an international tool to ensure food safety and fair practices in the food trade. Mr Fan Yongxiang, Chairperson of the CCFA gave an insightful presentation on the risks and management of food additives. Mrs Awilo Ochieng Pernet highlighted the importance of a World Food Safety Day for the prevention of foodborne diseases, and several speakers insisted on the important role of efficient and effective risk communication within the risk analysis framework. The role of traditional and social media in the public perception of food safety was also discussed. 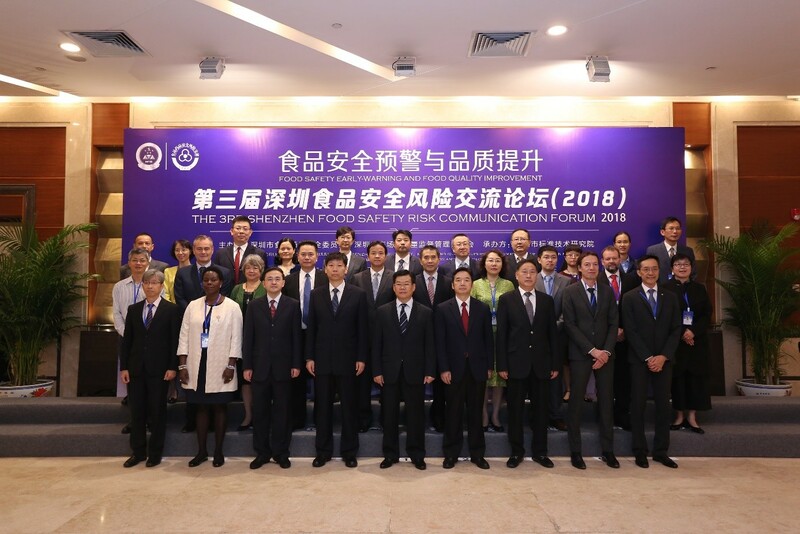 A major highlight of the 3rd Shenzhen Food Safety Risk Communication Forum was the official unveiling of the World Food Safety Day video made by the Shenzhen Authorities in response to the call by the Codex Secretariat to support the World Food Safety Day initiative. Read more about World Food Safety Day here.